Above: This is one of my favourite photos because it shows a community of gentlemen in the centre of public life. The image of the retired gent sitting on a park bench arguing about football or politics, or playing chess with his friends, makes up a huge part of the mainstreet myth and ideal, and I know it’s an image thousands of mainstreets want to capture for themselves. 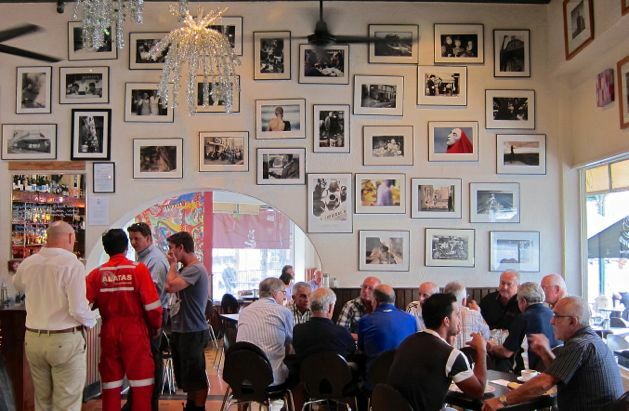 So thank you ‘Gino’s’, 1 South Terrace, Fremantle, Australia, because retailers drive public life and you’re doing that. And you can download the A Beautiful City report for more about that.